Baron Von Richthofen, March 1918 by Chris Collingwood. 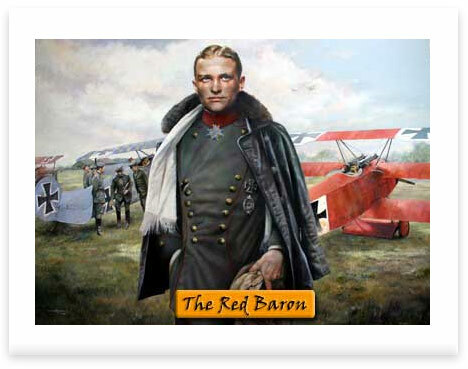 Germanys greatest First World War fighter ace, Baron Von Richthofen, known as the Red Baron is shown departing his Fokker DR.1 Triplane 425/17 after yet another successful sortie. 425/17 was the aircraft in which the Red Baron finally met his end in April of that year. No fewer than 17 of his victories having been scored in his red-painted triplane.